Central Coast Community Energy's first official board meeting on Nov. 7 was also its last. NEW PLAN On Nov. 13, the SLO and Morro Bay City Councils voted to dissolve Central Coast Community Energy. 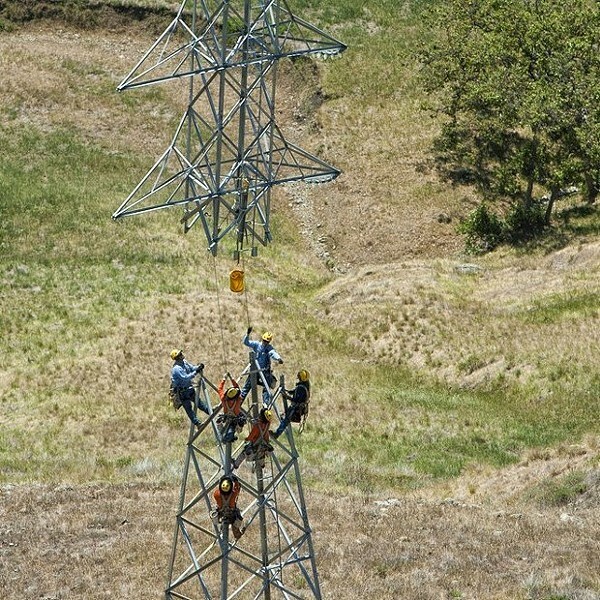 Now they're eyeing a partnership with Monterey Bay Community Power. The new Community Choice Energy (CCE) partnership between SLO city and Morro Bay collapsed as quickly as it coalesced, after an Oct. 11 regulatory decision by the California Public Utilities Commission (CPUC) crushed the local program's financial outlook. The CPUC raised the exit fees charged to customers fleeing incumbent utilities, like PG&E, for CCE programs, like Central Coast Community Energy. After receiving a dismal new fiscal forecast, the SLO and Morro Bay city councils voted unanimously on Nov. 13 to dissolve the agency. "We crunched the numbers every which way we could think of to make our local program work financially speaking. The bottom line is it just doesn't," said Bob Hill, deputy director of the SLO Office of Sustainability. "It wasn't going to be robust enough for credit purposes, and it was very sensitive to changes in the market." But all is not lost for CCE in SLO County. At their respective meetings on Nov. 13, the SLO and Morro Bay councils voted in support of a new CCE pursuit—a partnership with Monterey Bay Community Power, a CCE that currently serves Monterey, Santa Cruz, and San Benito counties. Monterey Bay Community Power launched earlier this year with a carbon-free energy portfolio. "They seem very receptive," Hill said of the Monterey program. "There's a little bit of downside that we won't have as much local control over our programming. ... But our program was so thin financially, it would've been a decade before we could do programs." Monterey's policy board will meet on Dec. 5 to approve the merger. Then the CPUC has to sign off on it. Programming for SLO and Morro Bay would start in January 2020, if all goes as planned. The two cities would share one seat on the agency's board of directors, making up 8 percent of its total power demand. Hill said Monterey's CCE currently offers 3 percent rebates for customers. The agency has paid down all of its debt and has $40 million in reserves, he added.